Hayley has recently graduated from UC with a Bachelor of Arts with first class Honours in Media and Communication. She is now working as a Communications Assistant in the Communication and Stakeholder Relations department at UC. Is cyber safety something you consider in your daily social media activities? You might be surprised to know that of the active adult users of Facebook, 66% reported they did not know privacy controls existed on Facebook and/or they did not know how to use the privacy controls. (Consumer Reports, June 2011). Beware of phishing scams. UC’s IT Services will NEVER ask you to provide password/account credentials via email or social media, and neither would any reputable organisation. 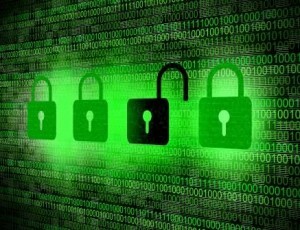 Also see Stacey’s recent post on the blog about phishing. Once posted, always posted. Online is forever and future employers will search you on the Internet. Be mindful of what you post! Your online reputation. As what you post is permanently available online, think about your online reputation and how you want to portray yourself. For example, think carefully about profile pictures used in professional (eg. LinkedIn) vs. social networks. See the Stay Safe Online website. For more general information about cyber security check out the Connect Smart website. 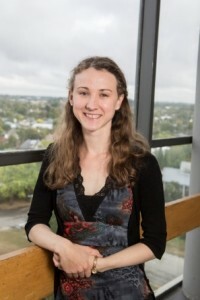 Annalise Fletcher is a final year PhD student interested in speech production changes in older New Zealand speakers and people with neurological speech disorders. She is UC’s latest recipient of the Fulbright General Graduate Award for promising NZ graduate students to undertake postgrad study at a US university. Eight of these awards are offered each year with a value of up to US$33,000 each! Annalise will use her scholarship to visit the US for six months, based primarily at Florida and Arizona State Universities. Annalise’s research is pretty amazing. She uses acoustic analysis techniques to explore how voice quality, speech rhythm and vowel articulation change as a result of neurological injuries and disease. Her PhD examines how this information can be used to model speakers’ responses to treatment strategies. Annalise was also recently awarded a Claude McCarthy Fellowship to present sections of her thesis in the US at various conferences. As well as this, her PhD studies at UC are funded by the Sir Beaven Doctoral Scholarship! Annalise is an exceptional example of a UC student doing amazing research that will change the world. If you also see a future for yourself doing ground-breaking research in your field, check out the postgrad website to learn more about what options there are for you at UC. And make sure you see what opportunities are available on the UC Scholarships website! Life insurer and retirement savings provider, AMP, has launched a new graduate recruitment programme offering world-class training and market-leading remuneration and benefits. AMP is now recruiting for graduate positions, in Advice and Sales, Investment and Insurance, and Information Technology and Customer Marketing to commence in February 2016. The successful graduate recruits will earn competitive salaries and receive a full AMP employee benefits package including 12% employer super fund contributions as well as health, life and income protection insurance. Graduates can apply for the AMP Graduate Recruitment Program at nz.gradconnection.com or on the AMP Careers website. Applications close on Sunday 26 July 2015.